4 vendors have this plant for sale.51 members have or want this plant for trade. I love this plant! I live in Western OR with heavy clay soil, they get no care at all from me so don't spread as much or as fast as I would like them to. My clump is out by my pond and along a south fenceline. 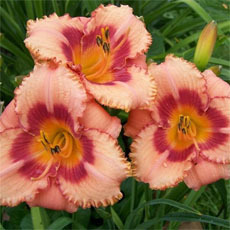 I have shared them with many as the roots are so easy to dig up and replant in another place. This is a big imposing plant. 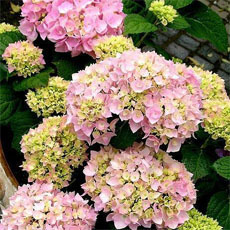 Flowers can be white or varying shades of pink, good for cutting. Foliage is bold. Very handsome in the right place. Because of its size and aggressive spread, it requires lots of room and frequent division or a root barrier. The rhizomes are shallow and around 1/2" across. It also requires lots of sun and regular moisture---in the wild, this species is a plant of wet meadows and water edges. 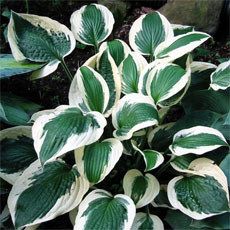 It is drought-sensitive, and drying out leads to brown leaves. Irrigation is essential for good garden performance here in eastern Massachusetts. In the wild, this species prefers alkaline soil, but in cultivation it's pH adaptable. Single clones of this species require pollen from a second clone for seed to be produced. Native from Pennsylvania to Illinois and south to Georgia. Considered endangered or threatened in five states. I love this plant. I grew it from a seed many years ago, and it has never had any pest or disease. I planted it over the leach field, and it never needs watering, despite being on the west side of the house with plenty of reflected heat and sun from 11 am on. The blooms last for several weeks and are taller than I am. I hate to give this plant a negative since it obviously does well in the right location. I just never found that location in my yard. No matter where I put it there was not enough sun for a decent bloom or not enough moisture for it to thrive. I have a stand of filipendula in the corner of my perennial garden. It gets late afternoon shade, but otherwise is in full, hot sun. I have never given this plant more water than the rest of my garden (I have never purposely watered it) and it has endured some long droughts in the last few years. Regardless, the plants bloom beautifully. My only complaint with the plant is that the leaves become ugly and brown by midsummer. I just cut the whole plant to the ground. It certainly spreads heartily and the roots?/rhizomes? are so thick I wonder how to dig it up and propagate it. Has anyone actually done this? How much is needed to start a new plant? I live in zone 6b in hot and muggy Maryland. Love this old Queen. My plant came from my aunt's garden in Asbestos, Quebec. She had it as long as I can remember, and I have had it for 30 years. It does need a lot of watering, but seems to have no other demands. I know you only want US zip codes, but it does very well here in Montreal, Quebec, Canada, H3K 2S7. Filipendula rubra is great. It might get a bit frisky, but it's easily contained--just yank it out of places it shouldn't be. Actually, I haven't met a Filipendula I didn't like--from 4 inches to 6 feet, it's an excellent genus. It took 3 years before it bloomed (planted from a potted specimen) and it is glorious. I wish I'd known it would spread so much, though. My soil is very alkaline and it obviously doesn't care! Is this plant native to North America? I am trying to maintain a Michigan garden withonly native plants. This is a robust plant once established. I live in zone 6b and this plant requires a consistantly moist site or it will suffer from leaf burn and dieback during the height of summer or during dry spells. The fluffy, astilbe-like flowers are quite attractive, and the somewhat coarse, compound leaves are also a plus. The leaves are somewhat brittle and tend to break easily if there are strong winds, but the plant grows quickly so the damaged leaves are replaced fairly quickly. Give this plant lots of room. I have not encountered any pests or diseases with this plant so far. I live on the edge of an old lake bed that has grown over with cranberry bog and tamarack trees. This plant grows in a large bank of flowers naturally on the south end of the bog. I get to see it every morning when it is in bloom. It is quite beautiful peeking out of the morning fog. Regarding the last entry, it sounds like it *might* be powdery mildew, regular watering and good air circulation help with that, as does a mixture of baking soda and water (I've heard). Good luck, I hope you find out the problem for sure. This plant used to be gorgeous in my garden every year, but the past three years it's been attacked by some sort of mildew, very heavily, to the point of being deformed and producing only small stunted clusters of unsightly flowers on thick white stems. If anyone has any information on how to get rid of this disease, I'd love to know! overall I love the plant but after year two it needed serious divison and I can see that it has already spread about 2x size from last summer. I would love staking ideas also as I hate staking plants. Has anyone tried to cut it back when it is about 12" tall (like you do with mums, golden marquerite, asters etc) to control the height? One way to manage the spread is to dig up the plant and then replant it in a container with the bottom cut out. I have had good luck doing that with monarda and tradascantia. Will grow in drier soils than some people would guess - but seem to perform better when get some shade. Tend to rhizome in one direction instead of branching out for me. 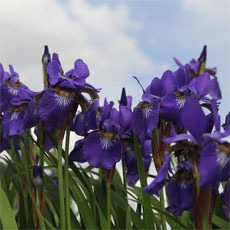 Easy to id by its height - easily two feet tall and get taller in moister soils. Flowers look like pink astilbes. I prefer to put some taller company plants with it so it can move in along them. Sometimes I used branches that fall off the trees as a stake - it recycle them and the branches can spread out and hold the plant better than just bamboo rods alone. This is my first year with it & it was beautiful when it bloomed!! Looked up how to propagate, apparantly if you want to try by seeds, wait intil Sept. to collect them-they have to mature for a long time to be ready. This plant can be started by dividing the orginal plant. Mine did not thrive until I moved it from partial shade to all sun. Other than having an especially wet season, I didn't give it any extra care. The bees love it and the blossoms are striking. If you don't have ideal soil conditions, this plant can become some work but it's worth it. I have this plant in a location that has weed barrier down and then it's mulched on top. Recently I covered the base with river stones. First year I planted it, it remained small but when it came up this year, it more than tripled in size and was very robust. In the cooler weather we had, the plant didn't need any special care. However, as it became hot and we entered drought, I've been watering it everyday, otherwise it droops. I've been feeding it regularly with a bloom inducing fertilizer. My Filipendula grows and grows and grows... I have it on the top of a berm roadside, and it really stops traffic when in bloom. 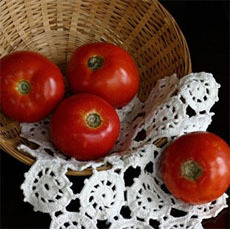 It is in very rich soil and is kept evenly moist. The problems are: (1) that it spreads very fast each season, resulting in a crowding situation and (2) that in a rainstorm or under very windy situations (we live on the coastline), it can really flatten. Despite the above, I can honesly say that it is a wonderful plant, which is magnificent when blooming. It is fun to watch it prior to bloom. Does anybody have a good staking method I can use? It is difficult to get at due to the spreading and the fact that it is on top of the berm (not too high). And can anybody tell me the correct way to keep the plants under bounds. Thanks! I love this plant! I have a bog garden area thanks to my neighbor's run off (sump pump, rain drain, excessive use of sprinkler) It is the only plant I can grow in this area in 5 years. Sweet soil, I mulch every spring with Black Forest Mulch on my entire garden. There is also a good deal of sand in the soil in this area. Highly recommend this mulch as well! This plant comes back stronger and fuller every year and can grow from cuttings with root stimulater and lots of watering in late Spring. Does well in full sun and some shade closer to fence area. It grows well in partial shade in my zone 5 garden. I just discovered a volunteer growing in the ditch across the road from my house. The pink plume is beautiful against the greens of the different grasses. I'm going to try to figure out a way to get some seeds for next year. It was a wonderful surprise to see it pop up over night. It's very tall and very healthy. Filipendula rubra is a perennial in zones 3-8. These grow between 4' and 8' and are pink. 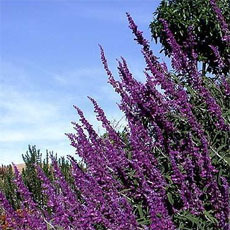 'Venusta' has plumes of rosy pink flowers on 6' stems. The compound leaves are a reddish green. 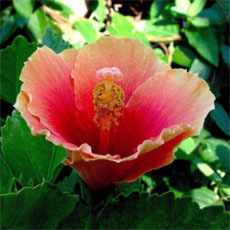 They bloom from early to mid summer and require full sun or mostly sun and well-drained, moist soil that is slightly acidic. Meadowsweets have long-lasting, feathery plumes and are great when used at the backs of borders or in fields. 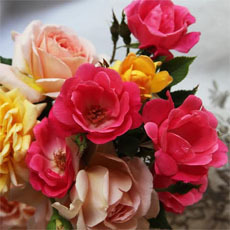 They are also good in both fresh and dried arrangements. These plants benefit from compost and organic mulch added in spring and a thin layer of mulch again in fall. 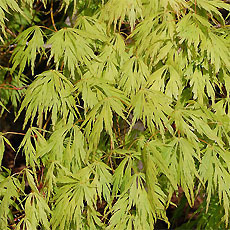 The foliage should be cut to the ground in late summer or early fall when leaves begin to turn brown.